Gone are the days when Amazon was synonymous to just online shopping. After the introduction of Alexa Voice Services (AVS) and Alexa Skill Development Kits (ASK-SDK), they have been pushing boundaries and expanding their stronghold into Machine Learning, Robotics, Data Analytics, IoT and many more services. Let’s face it, Alexa isn’t intelligent on her own. Her witty comebacks are a product of the dedicated work done by various other services that haven’t shared the same limelight. So now, we are going to look at few services that have the potential to cement a more intelligent future. Data Analytics is a bottomless pit with processes ranging from collection and storage of data, selection of appropriate algorithm, training and tuning a machine, optimization and deployment. SageMaker does all this with the less cost and time. It is also the best place to run TensorFlow algorithms with 90% efficiency as opposed to the 65% provided by stock TensorFlow. 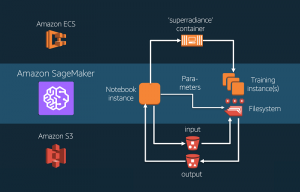 With Amazon EC2 P3, SageMaker can scale upto petabyte sized datasets, becoming the fastest distributed machine learning in the cloud. Lex is a platform used to build conversational chatbots into any application. Equipped with the same deep learning functionalities of Alexa but not limited to Echo devices, Lex uses Automatic Speech Recognition (ASR) and Natural Language Understanding (NLU) for . It is already functioning with major web apps and services like Facebook, Slack, NASA and Amazon Connect. Amazon Polly is a speech generation product enabled with life-like voices and variety of languages. 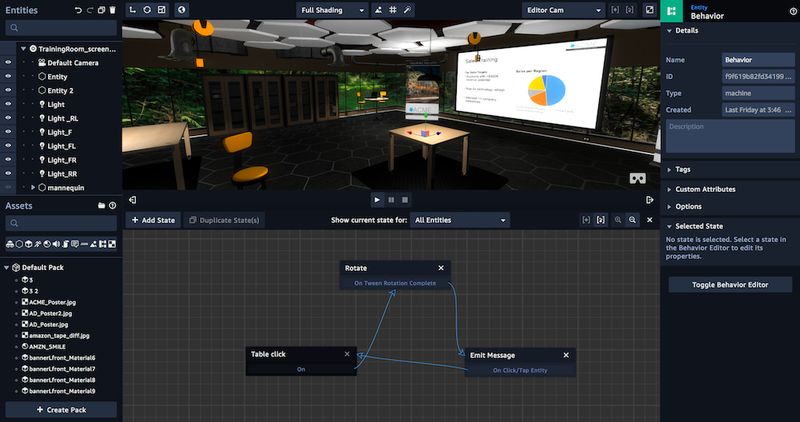 It is majorly used to aid in content creation (RSS feed) and E-learning, for example apps like Duolingo deploy Polly to create a interactive language teaching environment. ROBOT OPERATING SYSTEM (ROS) Extension: It is a open source robotics software framework that can handle complex computing and code that is required to build a robot. The cloud extension makes it possible to offload resource-intensive computing processes and free up local reserves. AWS Services: ROS extension integrates Amazon Rekognition for image processing, Amazon Lex for speech recognition, Amazon Polly for Speech Generation and Amazon CloudWatch Logs to monitor large data and use cloud APIs. Development Environment: RoboMaker has a dedicated workspace with an interactive user interface that allows the user to edit, run and debug application code in a fun and easy way. Simulation: Robots are deployed in ever changing environements. To check their compatibility it is vital to simulate their performance in different situations. RoboMaker provides a platform that supports parallel simulations and virtual 3D worlds to access the functionality of the robot. Easy Deployment: RoboMaker provides extensive fleet management, an application to build over-the-air (OTA) systems and securely deploy applications into robots and update them if necessary. All this with a few clicks on the console is what makes AWS RoboMaker so attractive. To all the enthusiastic game developers out there, Lumberyard provides a modular architecture and a robust game engine to bring your wildest fantasies to life. 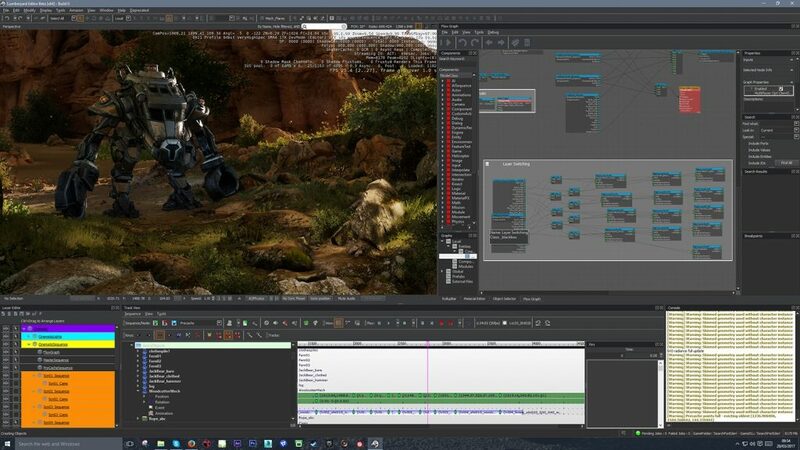 However, LumbeYard is still in the development stage but packs a lot of cool benefits like the Gamasutra tool for animation and visual scripting. Game development is not restricted to PC anymore. Lumberyard expands its boundaries to console and mobiles too. Game prototyping has never been more fun and it’s free too. RTOS is an operating system for microcontrollers with software libraries that make it easy to program small, low-power devices. Many applications may include sensor data, automobile analytics, medical statistical data and more. These would benefit from connecting to a cloud and storing the data and applications but that isn’t possible with microcontrollers that do not have built-in network functionality. 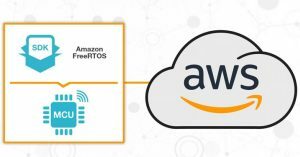 These are where Amazon FreeRTOS has a breakthrough. Therefore, incorporating RTOS kernel (core operating system) and software libraries in a securely connected cloud has made development of IoT applications seamless. This is not the end of all the benefits Amazon can provide. The list goes on. Some honourable mentions include the recently launched DocumentDB with MongoDB capabilities and the AWS Free Tier Service that allows limitless number of skills and programs to be developed with less production cost. AWS is a treasure trove for all developers irrespective of the field they represent. Krithika is an Electronics engineer who is excited by the possibilities of Robotics, Automation and Biomedical applications of AI. She is looking to pursue her Masters in Image Processing and Machine Learning.